We at Social Starts and Joyance Partners see distributed trust networks (aka blockchain) as one of the most powerful technological ideas in decades. It’s an idea on a par with TCP/IP, the backbone of today’s internet, in the long-term impact it can have. Tech innovation from innumerable directions points toward blockchain-like requirements as an essential. But, as long-term investors and observers of technological change, we are fully aware of the many weaknesses in current blockchain products and technology. 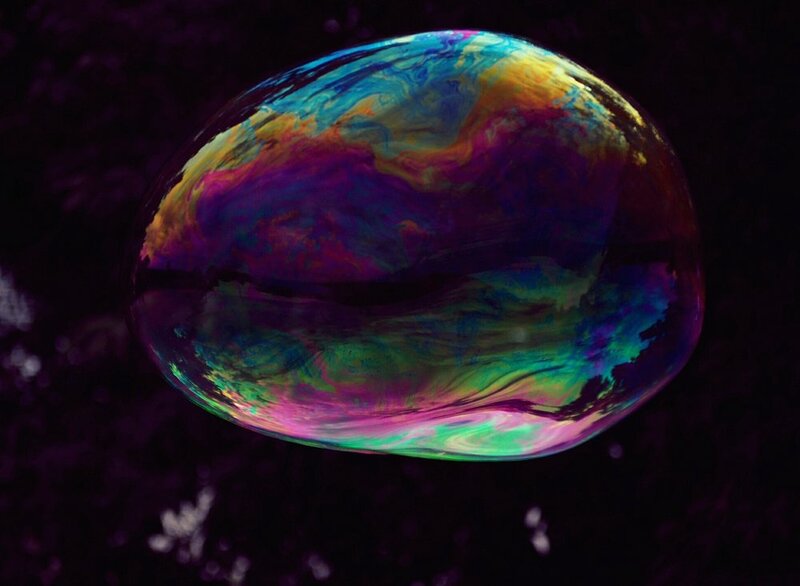 We know a hysterical bubble when we see one, and current crypto is it. So, we have crafted an investment approach toward trust networks, designed to recognize and manage the paradoxical extremes of great long-term value and current madness. First, we expect there will be a massive collapse in crypto values, most likely quite soon. We think much of the current excitement will be crushed in that destruction. Given that, we want to focus only on companies that will survive this crash or even benefit from it. History says that big downturns are actually the point where the greatest value in tech innovations emerges and when investment opportunity it highest. Lookie-loos flee the field. Prices drop. And the failures point the way toward how long-term success can be achieved. Interoperability. Different blockchain types and systems need to inter-operate efficiently. This was the breakthrough that lead to the modern Internet. Interchangeability. The many types of cryptocurrencies need to be interchangeable with one another and with fiat currencies. Now, they are all walled gardens. This can’t hold. Transparency. Buyers must be able to know what they are buying, with what rules, and those must be applied everywhere uniformly. Real Economics. Asset values must be based on real economics, not thumbs in the wind or pure self-referential pronouncements. Protections. How buyers and sellers are protected—from fraud, from market manipulations, from hacking, etc.—or not, must be clear and acknowledged by all parties in transactions. Speed. The system has to operate at speeds on par with financial systems today. This is several orders of magnitude beyond where blockchain is right now. Transactions must clear in fractions of a second, not minutes. Power. Mining and other blockchain operations must use much, much less power. Mining uses ridiculous amount of power, on par with a small country in 2016 -- and soaring. There were 5 quintillion hashes/second produced, rising exponentially. The world will not have enough power to support current trends in a decade. More efficient mining approaches are essential for the future growth and stability of distributed trust systems. Based on this analysis, our investment thesis centers on where blockchain and traditional economics meet. Test 1: Can digital asset be valued via economic analysis? Test 2: Does tech facilitate blockchain interoperability or market transparency or both? Test 3: Does it deliver/support standard market info/operations? Test 4: Does it increase transaction speed, reliability? Test 5: Does it reduce power requirements for mining? It’s exciting to pan for gold. But over our long careers, we have learned it’s wiser, and more value creating, to focus on picks and shovels up at Sutter’s Mill.